Highlights of the Sky Bet League One match between Portsmouth and Scunthorpe. 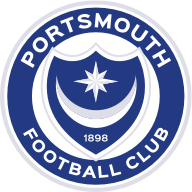 Jamal Lowe's first goal since September wasn't enough to fire Portsmouth to victory as they were pegged back by Scunthorpe in a 1-1 draw at Fratton Park. Lowe hit his fifth goal of the season after committing his future to the south coast side this week but his first-half effort was cancelled out by Kevin van Veen after the break. 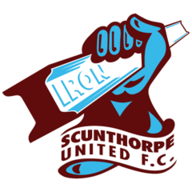 Scunthorpe should have gone ahead after just two minutes when Tom Hopper controlled a long ball over the top in the area but failed to get his shot away quickly enough. And Pompey then punished that miss when they took the lead through Lowe in the 15th minute, as he dispossessed Josh Morris before drilling his effort into the bottom corner. The visitors came close to equalising just before half-time when Murray Wallace tried his luck from distance but Luke McGee was on hand to produce a fine save from his strike. Scunthorpe eventually got their goal in the 53rd minute when Van Veen smashed in from close range after he was picked out by Hopper.